Severe conditions in Gaza are leaving the struggling Christian community open to the temptations of "an extremism which does not differentiate between race and religion," warns a report today. Christians in Gaza have been prevented from visiting holy sites in Bethlehem and Jerusalem since 2007, which disrupts their ability to uphold their religious faith, in contrast to other Christians from around the world who are freely able to visit these sites. Their number has declined by nearly a fifth in under two decades, according to the first ever survey of the small embattled population. More than half are "refugees", a third of these have no income and many are suffering chronic illness. The survey offers the first authoritative insight into life today for Christians in Gaza, a tiny minority among the 1.76 million Palestinian population. 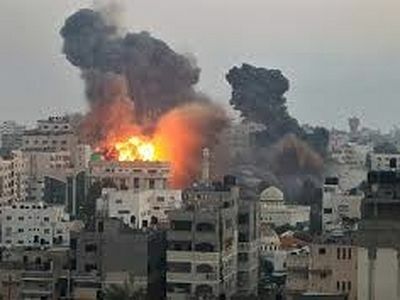 In 1997, the total number of Christians in Gaza was 1,688. In 2007 there were 1,375 and by March 2014, there were 1,313, living in just 390 households. Today there are 1,312 because a woman aged 70 has been killed in the assault. "This community has been surviving under a difficult and critical political, economic, and social situation," reports the survey, carried out by the Young Men's Christian Association in the Gaza Strip and co-founded and co-sponsored by Embrace the Middle East, a charity which supports disadvantaged people of any faith, and the Pontifical Mission in Jerusalem. Although several surveys have been done for the Gaza population over the past number of years this survey is thought to be unprecedented in its focus on and depth in studying the Christian community's needs. The objective was to provide factual information on the community in order to draw up an action plan. 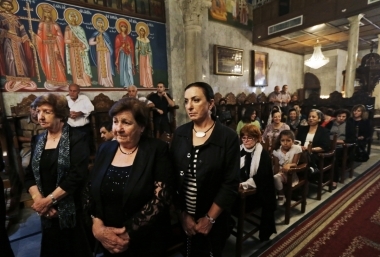 Most Christians in Gaza, 89 per cent, are Greek Orthodox while 9.3 percent are Latin and 1.52 percent belong to other denominations. 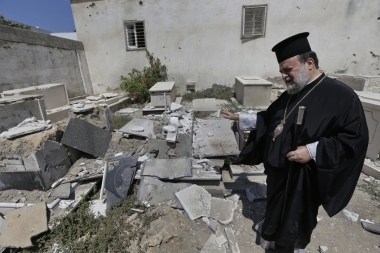 Christian institutions in Gaza include the Latin Church, the Greek Orthodox Church, the Near East Council of Churches, the Ahli Arab Hospital, the Myrrh Bearers Society and the Orthodox Council of Churches. Most of the Christians in Gaza are middle-aged adults due to the population's low birth and death rates and share most of the social characteristics of the general population because they live in similar circumstances, under blockade and coping with the generally poor economic situation. Gaza's Christian community is regarded as a "corner stone" in the fabric of the Palestinian community, according to the report, and like the Muslim majority aspires to build an independent Palestinian state. 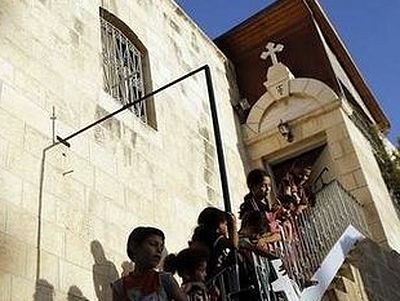 The decrease in the number of Christians is mainly related to the prevailing circumstances in the Gaza strip, the report says. Many who stay said they did so "for religious reasons", for "national pride" and for family. The average household income was $739.65 per month but 33.6 percent reported no salary or source of income. Two of the women surveyed were married for the first time at the age of 14, however these marriages took place more than 20 years ago. The findings show that the majority of the Christian population in Gaza is Greek Orthodox, totaling 1,170 or 89.1 percent, followed by Latin (totaling 9.3 percent), Coptic (0.8 percent), Baptist (0.5 percent), and Anglicans (0.2 percent). 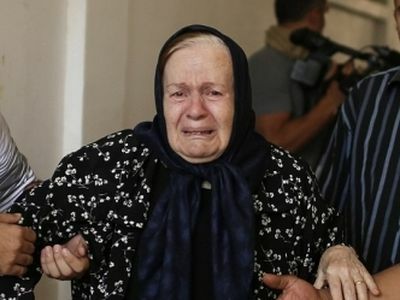 "As an integral part of the greater Palestinian community in Gaza, Christians continue to suffer from the absence of security, a prevailing poor economic situation due to the seven-year blockade, and the repercussions of Palestinian internal division which affects all aspects of life in Gaza. Like all Gazans, upholding aspirations of freedom and building an independent Palestinian state is the way forward," the report says. 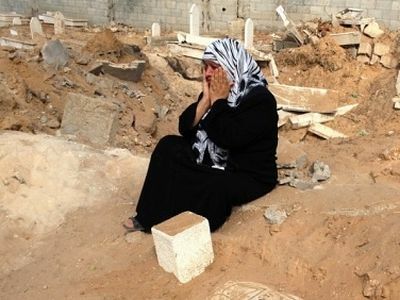 "The population of the Gaza Strip has for many years lived through harsh conditions collectively, from the Israeli occupation, its siege, and armed attacks on the Gaza Strip which is detrimental to the stability of Gaza and which continues to prevent planning and development by both the government and civil society." Combined with the high population density, it warns that conditions in Gaza "may further nourish an extremism which does not differentiate between race and religion." One of the repercussions of the Gaza siege is the rising unemployment rate, the report says. There is also an electricity crisis with alternative sources of power increasing risks of damage to property, and even death. "While the Christians of Gaza feel that they suffer from the same problems that affect all citizens of the Gaza Strip, Christians perceive the blockade as having an immense impact on their community in particular. They have been prevented from visiting holy sites in Bethlehem and Jerusalem since 2007, which disrupts their ability to truly uphold their religious faith, in contrast to other Christians from around the world who are freely able to visit these sites. 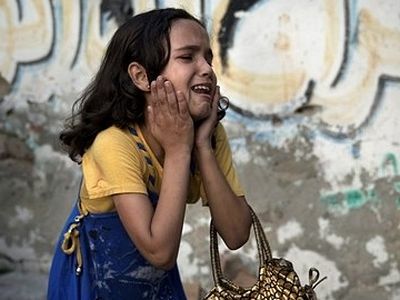 "Gaza's Christian community also fear the political rifts and changes happening in the Middle East, especially the so-called 'Arab Spring' which has led to the displacement of hundreds of thousands of Christians from the region, especially from Iraq and Syria. Moreover, the emergence of extremists with religious antidotes to secular societies and a rejection of 'others', is also considered a challenge to Christians' lifestyles and the lives of their children. It is also worth mentioning that poverty, the siege, and a catastrophic humanitarian situation in Gaza as a result of the deteriorating political situation and internal Palestinian division, threatens Gazan society for both Christians and Muslims alike." Sami El-Yousef, regional director of the Pontifical Mission in Jerusalem, writes in the preface that in 2009 he made a trip to Gaza to check on the progress of the mission's emergency intervention following an aerial bombing that completely destroyed a mother and child clinic. "Stereotypical images of the Gaza Strip in my mind were of over-crowdedness, lack of law and order, dirty streets, poor sanitation and the like. I crossed Israel's Erez Border Crossing alone not knowing what to expect on the other side, and not knowing that this very first trip would be a life changing experience for me. I spent a mere five hours in Gaza meeting with a number of the Christian leaders and heard the firsthand accounts about their daily life in the Gaza Strip. I also heard about the wonderful work of the Christian institutions that continuously serve the local in the various fields of education, healthcare, and social service. In a few short hours, I learned more about the meaning of pride, dedication, bravery, -worth, sense of mission, commitment, and the true application of Christian values than at any other time in my life and I immediately fell in love with this small yet determined community." He adds: "I have no doubt that after all of the suffering, Gaza will one day soon regain its glory and its rightful place, and justice and peace will finally prevail." The report comes as the Gaza Emergency Appeal launched last month by Embrace the Middle East has raised more than £200,000 so far and already payments have been sent to fund essential medicines and medical supplies, fuel, food and blankets. In addition, the Disasters Emergency Committee Gaza Crisis Appeal has reached a total of more than £6m just three days since it was launched. Aid agencies and their partners have taken advantage of the lull in the fighting to reach more of the hundreds of thousands of people in desperate need of clean water, food, shelter, medical treatment and psychological support. The Department for International Development matched the first £2 million donated by the public pound-for-pound. The Near East Council of Churches, a Christian Aid partner in Gaza, has been able to reopen their clinics because of the ceasefire. Christian Aid has helped to fund access to primary health care services, psychosocial support to 1,500 children in Shijaia, El Daraj and Rafah areas of the Gaza Strip, vocational training for 100 young people in Gaza City and El Qarara and cash for work to cope with the ongoing emergency situation in the Gaza Strip, helping 10,000 people in Shijaia, El Daraj and Rafah areas. Dr Issa Tarazi, speaking to Christian Today from the council's headquarters in Gaza, said: "Christians in Gaza are part of the community and have suffered like others have. I am looking for peace and justice. That is what is needed in Gaza. It must be achieved politically." Jeremy Moodey, CEO of Embrace the Middle East, said: "The Christian community in Gaza is tiny, yet its roots in the community are deep and go back for two millennia – to Philip the Evangelist in Acts 8. Despite its small size, the community has a vibrant and powerful social witness, with a general hospital, clinics, several schools and other projects serving their Muslim-majority neighbours. This is about quality not quantity of witness, and is the perfect example of Christians being 'salt and light' in their community. That this is occurring in trying circumstances in the very land where Jesus preached about 'salt and light' is all the more poignant, yet we in the West are in danger of taking this ongoing witness for granted." Amid all this two things were clear to the refugees who had taken refuge at St Porphyrios: they were not going to go back to their homes they had been forced to abandon, and they were not going to move to the mosque down the road. Both, they felt, would be highly dangerous.